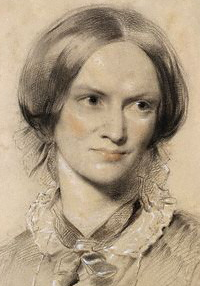 Charlotte Brontë was a British writer and poet. She was born on 21 April 1816 at Thornton, West Riding of Yorkshire, England. She died on 31 March 1855 (aged 38) Haworth, West Riding of Yorkshire, England. She married Arthur Bell Nichols in 1854. Bronte's novels include Jane Eyre, Shirley, and Villette. She wrote under the pen names Lord Charles Albert, Florian Wellesley, and Currer Bell. This page was last edited on 30 May 2016, at 02:24.